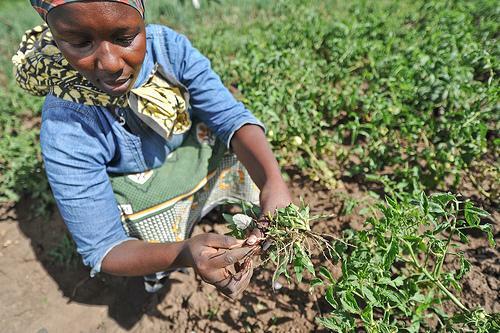 The United Nations declared 2014 as the International Year of Family Farming. This is a very important recognition of the multiple social, economic, environmental and cultural functions of family farming. For example, family farmers produce more than 50% of the world’s food, and are important guardians of biodiversity. Creating the conditions for family farming to thrive is essential for a sustainable future. The threats to family farming are multidimensional. Climate change, land grabbing, land degradation, the aggressive promotion of industrial farming and dependence on large agribusiness chains are some of the most pressing challenges. Many family farmers have proven to be innovative and resilient under the right socio-political framework and conditions – especially when supported by public and institutional policies. Family farmers can exert a large degree of autonomy through the use of agro-ecological practices and the creation of markets that are based on more direct relationships with consumers. They pool their labour and resources, and increase their yields. They organise themselves and make their voices heard. They build their own educational spaces where they learn from each other and teach others. Women play a key role in these strategies, which are often carried out in close collaboration with local decision makers, researchers, and consumer platforms. needed to valorise and promote sustainable family farming? How can agro-ecological family farming become an attractive proposition for future generations? What can we learn from existing and emerging practices? 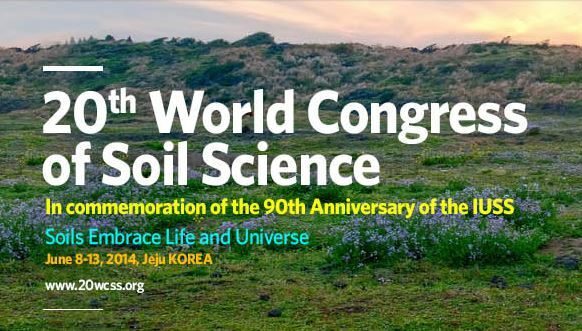 The 20th World Congress of Soil Science, June 8(Sun) ~ 13(Fri), 2014, Korea is jointly hosted by Korean Society of Soil Science and Fertilizer, Rural Development Administration(RDA) and International Union of Soil Sciences (IUSS). The 20WCSS Program Committee cordially invites you to submit abstracts for oral and poster presentations. All abstracts should be submitted online no later than October 30, 2013. If you have questions, please contact the 20WCSS Secretariat at wcss@20wcss.org. Youth are the future. Invest in them! by Codrin Paveliuc-Olariu on #AASW Blog! With more than 200 million people aged between 15 and 24 years (comprising over 20% of the population and 70% of the population being under 30 years old), Africa‘s future seems bright. Young people usually bring new skills and abilities to the table, and tend to be highly competitive into sectors that use innovative technologies (such as ICT, social media or even agriculture). But presently this is not the case in Africa. According to the Food, Agriculture and Natural Resources Policy Analysis Network (FANRPAN) Youth Policy Case Studies, while approximately 70% of youth live in rural areas and represent almost 65% of the workforce there. The symposium will to bring together local, regional and international scientists who have conducted research in Nepal or in contexts relevant to Nepal, as well as policy makers and program implementers in Nepal on August 13-14, 2013 to discuss scientific evidence that provides insights about the causal pathways and interactions leading from food production to market to household, diet and nutritional well-being. It is our hope that this symposium will foster the exchange of new ideas, encourage innovations, and present the latest research findings on nutrition-sensitive program elements that can improve food security and status among nutritionally vulnerable groups. Submit an Abstract: The selection of oral and poster presentations will be based on research abstracts submitted by no later than June 30th, 2013. Click here for details on abstract submission requirements. Nature and extent of causal linkage between food production, price and market availability, household access, utilization and consumption, and nutritional status. Register for the Symposium: Click here for details on registration. A recent study reveals bio-fertilizers effects on soil fertility and crop yield. Which are the tools to face the increasing food demand? Is the chemical fertilizers use the only possible solution to enhance crop yield? Which are the mineral fertilization effects on soil in the long run? The overuse of these products is already causing soil impoverishment. According to a study published on International Journal of Microbiology Research (Biofertilizers: A novel tool for agriculture – Volume 1, Issue 2, 2009, pp-23-31), to overcome this problem it is extremely important to use bio-fertilizersfor two main reasons: on the first hand, they restore soil fertility by providing soil with soil organic matter and living micro-organisms; on the second hand, they increase mineral fertilizers efficiency because they enhance nutrients availability for plants (for example, by fixing atmosphere Nitrogen or dissolving Potassium present in soil). In this way, bio-fertilizers improve plant health and, then, they increase crop yield. They represent a benefit for any kind of soil. A clay soil, for example, has tiny and tightly particles which hamper the flow of water, nutrients and oxygen. Bio-fertilizers reconfigure the clay into a larger, more loosely packed particles. The larger spaces between the particles improve the flow of water, oxygen and nutrients to roots. Moreover, roots are able to penetrate deeper into soil, reaching more nutrients. Bio-fertilizersalso improve crop yield and soil fertility in sandy soil, where the large spaces between particles enable water and its dissolved nutrients to draw too quickly for optimal root absorption. They soak up and hold these substances so that roots have more time to absorb them. Furthermore, besides improving soil features and supplying soil organic matter, they also supply soil with Zinc, Copper, Boron and other vital nutrients. To sum up, bio-fertilizers can be considered the innovative tool for agriculture: the meeting point between a sustainable soil management and the continuous increase of food demand. Imagine you’re working for your country’s government and you’ve been given the formidable task of developing a strategy to help the agriculture sector adapt to climate change. Working out how climate models will play out on the ground for farmers, and conceiving options for farmers to adapt is sophisticated stuff, and the challenge is only compounded when the best information remains somewhat uncertain. In Nicaragua, scientists have managed to predict a “narrow niche” where Arabica coffee production will still be viable as temperatures rise, which allows farmers to prepare to relocate to cooler areas, or else switch to similarly profitable crops. Ask a young person what they wish for their future, and very few will mention agriculture. Youth are not interested in the agriculture sector, which is perceived as unglamorous and without much profit. This of course raises the question: who will grow the crops to feed the world? People do not realize how important agriculture is, what it is, and what it means to society. You could say that it is the very first business, but most people think of it as some redneck mowing a field. In fact, agriculture is hard work, and the whole nation depends on it. It affects the life of every individual. The non-availability of qualified manpower, flawed government policies, public aversion to farming, unviable and conventional farming methods, and inadequate agricultural education are the major handicaps of Nepali farming. Educated youth consider agriculture a less than glamorous job. However, this should not be taken for granted; we need to encourage more people to take it up as a career. We need to interact with people, both in farming and non-farming sectors, and identify innovative and enterprising people who can make farming more attractive and profitable. “Farming is dirty and messy. If truth be told, most of the time it’s rather grimy. It is incapable of tackling the bigger concerns of economic boost, self-employment, entrepreneurship, sustainability and societal well-being. 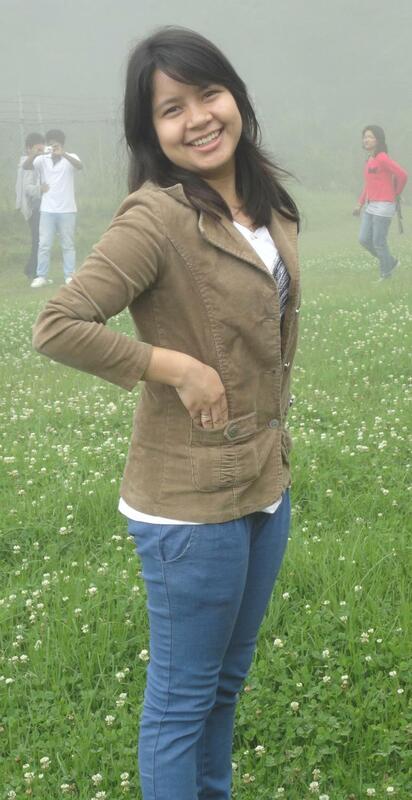 The world ‘culture’ actually has no place in agri-culture,” said Swikriti Pandey, a student of agriculture at Nepal Agriculture and Forestry University. No doubt, instead of culture, it is time to add innovative terms to the word ‘Agri’, such as Agri-enterprise, Agri-business, Agri-tourism, and so on. Every agriculture planner, scientist and expert agrees that there should be a balance between education, research and implementation in agriculture. But in Nepal, the relationship between these three pillars is given very little weight. Academic institutions do not know what kind of graduate and post graduate students they should produce, research institutions are not aware of the kind of technical products they should develop, and the big problems of agriculture are ineffectively addressed. To make Nepali agriculture competitive, there is a need to substantially increase investment, in agriculture in general, and in research in particular. In order to meet the challenges of agriculture, agricultural universities should focus their curricula on relevant researches on agriculture and forest sectors. In recent times, information technology sector is booming, propelled by the rapidly growing usage of mobile phones and internet services. Mobile phones can help in agriculture and rural development by providing information to farmers about supply and demand, market opportunities, and much more. Agriculture professionals are more and more interested in the potential uses of ICT for rural development, while these tools also continue to be popular among young people. With a click of a mouse, a farmer in Kathmandu can upload and share pictures of maize planting practices to thousands of followers worldwide. A farmer from another corner of the world can comment on that picture and ask why he planted his crops the way he did. Over a period, each farmer has the knowledge to help him plant a better crop the next time. Meanwhile, thousands of agriculture students across the world are watching this conversation unfold, and learning from both these farmers. I agree with, Eugene F Ware that “The farmer works the soil. The agriculturalist works the farmer.” It means, if farmer fails, all agriculturists fail. One of the things missing in today’s agriculture is imagination. Today’s generation of farmers, teachers, agricultural scientists, policymakers, and also the media have collectively failed to trigger the imagination of the youth. Yes, there are major challenges. Farming is not an easy or glamorous option, but there are ways of doing agriculture in a sustainable and rewarding manner. Applications may be submitted directly to the IUCN Global Gender Office from 23 May and closure date as 20 June 2013 after which applicants will be evaluated based on the eligibility criterias as set out below. Asia and the Pacific has been the world’s largest resource user since the mid-1990s and if current trends continue, its CO2 emissions are likely to more than triple by 2050, putting an unbearable strain on the earth’s ecosystems. Energy: According to IEA projections, global energy demand is set to increase by one-third from 2010 to 2035, with the People’s Republic of China, India, and other developing Asian countries accounting for over 60% of the global total. Without greater use of renewable energy and improved energy efficiency, developing Asia’s share in global energy-related CO2 emissions could increase from the current 35% to about 45% by 2030. Transport: Emissions from transport are the fastest growing source of CO2 emissions, with the vast majority of projected increases expected to come from developing Asia. By 2030, Asia will account for 31% of total worldwide transport-sector related CO2 emissions. Private vehicle ownership is doubling every 5 years in many Asian countries, with growth in urban areas often doubling every 2 to 3 years. Land Use Change and Forests: Around 17% of total annual global greenhouse gas emissions come from land use change and forests, with about one-third from Asia and the Pacific. In Indonesia and some South East Asian countries, the land use and forest sector is responsible for up to 75% of greenhouse gas emissions. Vulnerability: According to UNU, 7 of the world’s 10 countries most vulnerable to climate change and disasters caused by natural hazards are in Asia and the Pacific. Vanuatu tops this list, followed by Tonga (2nd), Philippines (3rd), Solomon Islands (4th), Bangladesh (6th), Timor-Leste (7th) and Cambodia (9th). More than 60% of the region’s population works in agriculture, fisheries, and forestry—the sectors most at risk from climate change. Climate change will cut agricultural crop yields and hike food prices – every 10% rise will push another 64 million Asians into poverty. Disasters: Natural disasters affected an annual average of more than 200 million people in the Asia and Pacific region between 2001 and 2010 (90% of world total), with more than 70,000 fatalities (65% of world total). Extreme weather events displaced more than 42 million people in the Asia and the Pacific during 2010 and 2011. Sea level rise: ADB estimates that Asian urban dwellers at risk of coastal flooding will increase from more than 300 million to 410 million by 2025. In inland areas, the number of people at risk will rise from 245 million to 341 million by 2025. Twenty million Bangladeshis would be displaced by a 1 meter rise in sea level by 2050. The annual economic cost of disasters averages $53.8 billion in Asia and the Pacific. Yet less than 5% of disaster losses in developing Asia are insured, compared to 40% in developed countries. Investing in disaster risk reduction pays – it has been estimated that the economic impact of disaster will be reduced by $7 for every $1 spent. An estimated $600 billion to 1.5 trillion dollars will be needed annually to help developing countries transition to low-carbon and climate-resilient economies, with $40 billion annually needed for adaptation in Asia and the Pacific alone. ADB invested about $7 billion in clean energy-related projects since 2008, with $2.1 billion in 2011 alone. Since 1987, ADB has carried out disaster-related projects worth more than $12 billion and its aggregate urban lending is more than $11 billion. Through mechanisms such as the Climate Investment Funds, multilateral development banks have mobilized $6.5 billion for climate action in developing countries, with $2.5 billion earmarked for Asia and the Pacific. 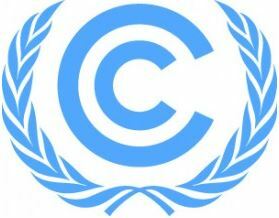 The Green Climate Fund, currently under development, aims to mobilize an additional $100 billion per year for climate change mitigation and adaptation in developing countries. The People’s Republic of China leads the world in renewable energy investment, accounting for half of all global output of solar modules and wind turbines. Among other measures, Asian governments should consider creating a regional carbon market, phasing out fossil fuel subsidies, and establishing a free-trade zone within Asia for high-impact, low-carbon technologies and services.